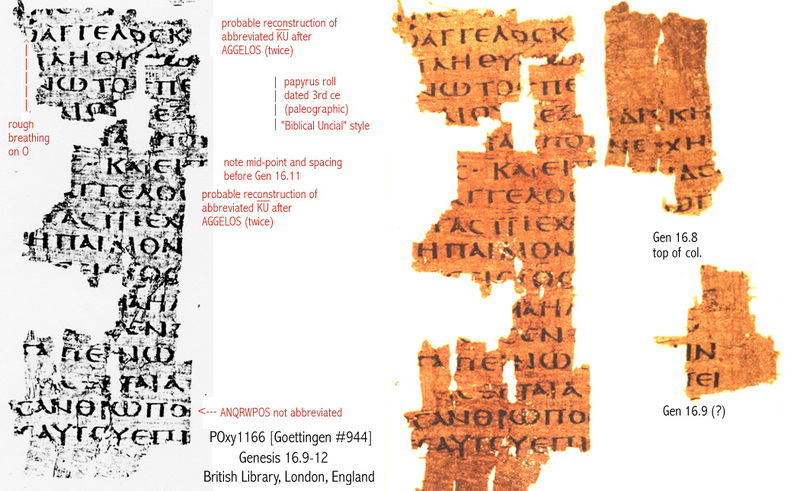 Why read the Septuagint from cover to cover? – Open Our Eyes, Lord! Last month we announced a two-year safari, reading through the Septuagint version of the Scriptures, from cover to cover! Our friend David Baer (PhD from Cambridge, specialist in the Septuagint of Isaiah) has decided to join the group. He wanted to say a few words! Why read the Septuagint? The whole Septuagint??!! Over two years??!! Are you nuts? It’s not hard to imagine how such a project would be abandoned alongside the highway of our lives, a good idea that could never earn a space for itself among the daily priorities of busy lives. Nevertheless, I’m in. I’m in because the reading of the Septuagint promises several benefits. First, the student who has decided to study New Testament Greek has in fact only prepared himself to read a thin slice of the Jewish and Christian literature that comes to us in Greek. Those of us who’ve learned to read the New Testament in Greek have done a very fine thing. But we can’t really claim that we read Greek. Not yet. Septuagint reading, precisely because it places on the table before us texts that are not as well known to us as the New Testament, is the very best way actually to learn Greek. In the second place, the Septuagint was the form of the Bible that was best known to the first generations of Christians. Although it’s true that the difference between the Masoretic Hebrew texts and those of the Septuagint are hardly massive, it should not be denied that those differences do exist. Reading the Septuagint puts us in the shoes of the earliest Christians, spiritual family members of ours who knew the Scripture principally in Greek dress. Third, reading the Septuagint is an open door that welcomes us into first-hand contact with the challenges that keep textual critics busy. This kind of reading confronts us with difficult decisions about the complex relationship that exists between texts that share a common origin but have come to be different from each other through the reverent reading to which both Jews and Christians have subjected them. Finally, reading the Septuagint is fun! It’s even more so when a cohort of friends—or perhaps readers who will over time become friends—take up together the intellectual challenge of reading ancient texts slowly, for this is the pace at which we will inevitably read. So let’s read the Septuagint! Let’s bend our shoulders to the plough together with our spiritual ancestors, whose hands and eyes fell upon Greek texts that they fully considered to be the Word of God. Our Goal: A two-year excursion through the Septuagint, including the Deuterocanonical books, from January 1, 2019 through the close of 2020. ‘Just saw this come through. ‘wanted to say’ for ‘wanted to day’ in your intro Have any Latin Americans signed on to this project?